The Trust for Public Land succeeded in protecting 470-acres of the former Ascutney Mountain Resort for the town of West Windsor and added it to the existing 1,112-acre West Windsor Town Forest. A conservation easement held by the Upper Valley Land Trust and the Vermont Housing and Conservation Board has been placed over the entire 1,582 acres, ensuring permanent protection of an extensive trail network, a public drinking water source, a hotspot of biodiversity, and a defining feature of West Windsor’s history and economy. Ascutney Trails is a 30-mile network of non-motorized, recreational trails that scale the peak and hug the western base of Mount Ascutney, built and managed by Sport Trails of Ascutney Basin (STAB). 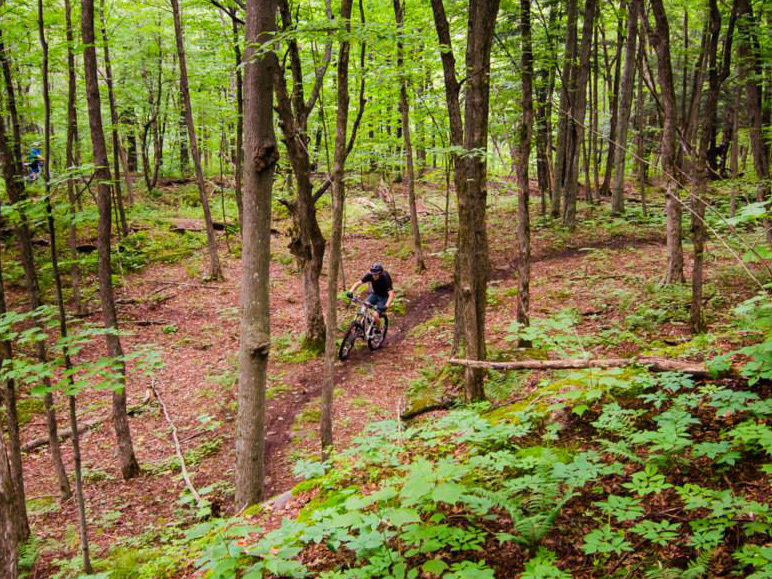 The network has become a destination for mountain bikers, backcountry skiers, and hikers locally and from across New England. The newly formed Mt. Ascutney Outdoors is creating a nonprofit community ski area on a portion of the property, providing inexpensive skiing opportunities for all families. Conservation of the 1,582-acre West Windsor Town Forest will knit together a 6,640-acre block of conservation land – one of the largest conserved forest blocks in the region, and the largest such block on the Connecticut River in Vermont. To maintain and support the highest quality natural communities, nearly half of the expanded West Windsor Town Forest will be designated a Natural Area in the conservation easement, which will result in an extensive and diverse old growth forest, rare in Vermont and New England.